All seven Purge Shopping Network segments will air Saturday night on Syfy. There’s nothing like a little shopping to help prepare for a big holiday event, especially when that holiday is Purge Night. As USA and Syfy prepare to debut their new The Purge series, a spinoff of the hit horror film franchise which premieres next Tuesday on both networks, they have devised a satirical campaign centering around holiday preparations, including a QVC-like network called Purge Shopping Channel. The series, like the four Purge films, takes place in a world where America ruled by a totalitarian political party, and for 12 hours each year—known as Purge Night—all crime, including murder, is legal. “Purge Night is such a simple, yet outlandish, concept. We set out to create a campaign that matched that same over-the-top nature of the show itself,” said Colleen Mohan, svp of brand marketing, USA and Syfy, of her “in-world” approach to marketing The Purge. In the Purge Shopping Channel segments, a pair of cheery hosts hawk a variety of horrifying Purge Night items, from “Purge Away” detergent (for cleaning those pesky blood stains) to body armor for people and their pets. Abbreviated versions of the spots began airing on USA and Syfy last Saturday, and they are also featured on the networks’ social feeds. All seven segments will air as a faux Purge Shopping Network infomercial on Syfy Saturday at 10:45 p.m. The segments are featured on the Purge Shopping Channel website, which also spotlights Purge ecards (“Let ‘em know you care, or let ‘em know you’re coming”), “Purge essentials” like T-shirts and and energy drinks, fashion and party tips for Purge Night and customer testimonials (“their customer support provided excellent after-care help on how to remove blood stains from upholstery,” raves a pastor). 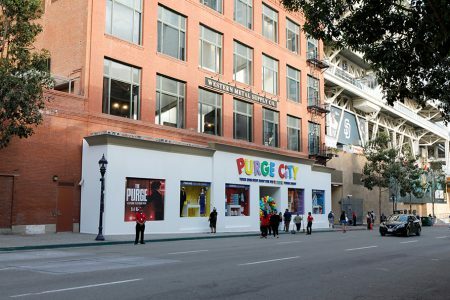 Purge Shopping Channel is an extension of USA/Syfy’s Purge City activation at July’s San Diego Comic-Con, in which attendees browsed a store—modeled after Party City—stocked with Purge Night items like emergency survival candles and masks. The first episode of The Purge includes a nod to Purge City, which is mentioned on a radio broadcast that one character is listening to. 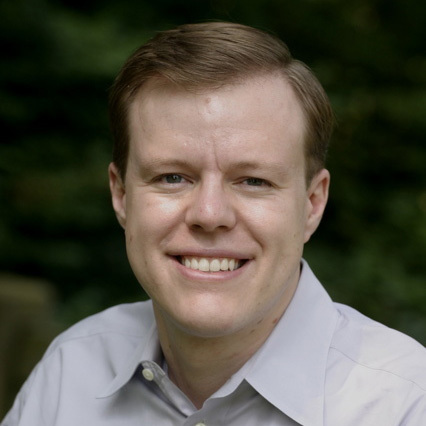 “We always say, our best campaigns come from a very simple idea. The Purge is considered a holiday, and we prepare for holidays. So that was the link into Purge City: how do we bring people into the world, and then how to we help them prepare for Purge Night,” said Mohan. 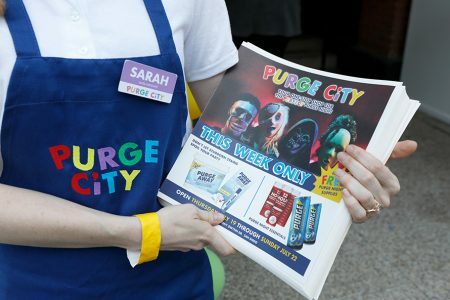 USA and Syfy worked with experiential agency Campfire on its Purge Shopping Channel and Purge City activations. Blumhouse Productions, which produces the films and series, helped with the script for the seven Purge Shopping Network segments, as well as the content on (working) Purge Shopping Channel hotline number featured in the spots. “Our job wasn’t just to create awareness that this is now a TV series, but to make sure that we were creating interest among TV audiences and not just fans of the film,” said Mohan, who refers to them “initiated” and “uninitiated” audiences. The Purge’s campaign kicked off with a post-credits scene in The First Purge, the fourth Purge film that was released July 4. That scene flashed ahead 10 years to discuss how the Purge has become a mainstay of society, and then explicitly mentions that that series will air this fall on USA, thus “attaching the series to the DNA of the movie franchise,” said Mohan.